A Washington D.C.-based journalism museum announced just moments before the start of a memorial service for slain reporters that it would not honor two Hamas terrorists as originally scheduled. "Serious questions have been raised as to whether two of the individuals included on our initial list of journalists who died covering the news this past year were truly journalists or whether they were engaged in terrorist activities," the museum said in a statement posted to its website. "We take the concerns raised about these two men seriously and have decided to re-evaluate their inclusion as journalists on our memorial wall pending further investigation," the statement said. "Terrorism has altered the landscape in many areas, including the rules of war and engagement, law, investigative and interrogation techniques, and the detention of enemy combatants. Journalism is no exception," the statement continued. "To further our First Amendment mission to provide a forum where all may speak freely, the Newseum will establish a new initiative to explore differing views on the new questions facing journalism and journalists," it added. "The Embassy of Israel appreciates the Newseum's decision to reconsider the inclusion of members of Hamas, a terrorist organization, on its list of journalists who lost their lives covering the news," the Embassy of Israel said in a statement to the Free Beacon. "The decision taken by the Newseum reflects a core journalistic value that it works to honor: the pursuit of understanding the full story." The museum sparked controversy last week when it decided to honor Hussam Salama and Mahmoud Al-Kumi as reporters. 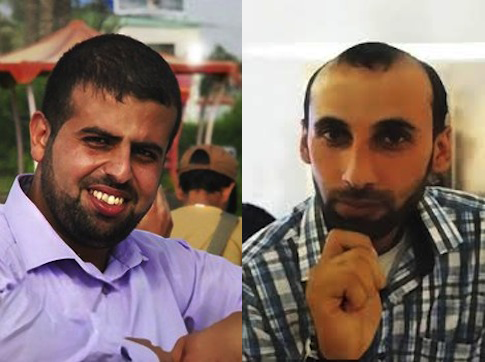 The two were killed by Israel while working for the al-Aqsa Television station, which is funded and controlled by the terror organization Hamas. The station is known to promote terror and indoctrinate children and has been designated a terrorist organization by the Treasury Department. The Newseum originally stood by its decision to honor Salama and Al-Kumi as reporters, telling the Washington Free Beacon on Friday that the two "were cameramen in a car clearly marked ‘TV.’"
Pro-Israel advocates and others quickly condemned the Newseum’s decision. The Simon Wiesenthal Center, which combats anti-Semitism, said the Newseum has made a "shameful decision" to honor the terrorists. "Duct Tape on car with the letters TV does not a journalist make," said Rabbi Abraham Cooper, the center’s associate dean. "A shameful decision based on a falsehood that besmirches the true heroes of journalism who died while pursuing their mission of seeking and reporting the Truth." Cathy Trost, the Newseum’s vice president of exhibits, programs, and media relations, told the Free Beacon that the two Hamas operatives in question could be included in the Journalist’s Memorial at a future ceremony. "The process is that serious questions were raised and we’re going to look in to the nature of their work," Trost told the Free Beacon following the ceremony. "Based on a pending investigation, yes," the two could be included in the memorial. "We’ll look into the nature of their work," Trost said. "We’re reevaluating." 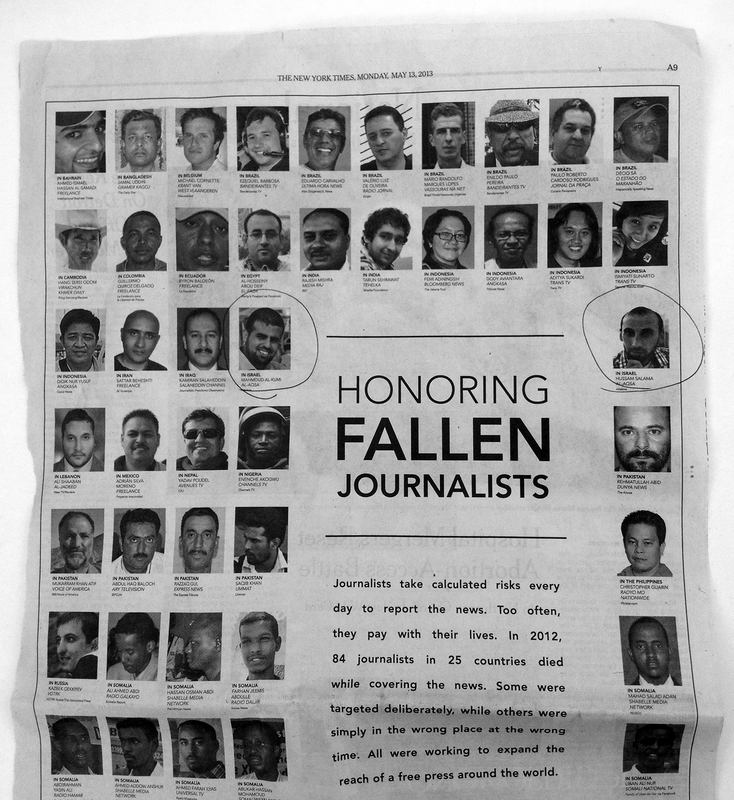 Despite being formally removed from the ceremony, Salama and Al-Kumi were still pictured Monday morning in a full page New York Times ad "honoring fallen journalists." "Some were targeted deliberately while others were simply in the wrong place at the wrong time," the Newseum stated in the ad. "All were working to expand the reach of a free press around the world." "I frankly agree there is a distinction and several people on this list aren’t strictly journalists but political activists," Engel said. "Just because you carry a camera and a notebook doesn’t mean you’re a journalist." Engel told reporters after the ceremony that he sympathizes with those who fought against the inclusion of the Hamas operatives, comparing them to other "political activists" in countries such as Syria. "There was a campaign against not just against those two Palestinian journalists, but some state broadcasters" and reporters who have fought to topple the Syrian regime, Engel told several reporters. "I can understand where they’re coming from because there’s a distinction between people who are political activists, not just the ones who work for Hamas TV, but some of the Syrian activists." "If you’re a political activist and your job is to bring down a regime you are different" than typical reporters, Engel said. "The difficult part is who gets to decide which groups are represented and which groups are not." "With the Hamas issue it’s clearly more controversial," he said. This entry was posted in National Security and tagged Hamas, Media, Middle East, Terrorism. Bookmark the permalink.